My teacher candidate students and masters students have been weaving in some digital tools for literacy into the before, during and after reading stages of a guided reading lesson. They have explored the affordances and possibilities presented by these digital tools for literacy. The following are some of the most popular digital tools for literacy that the students have explored this past academic year. Wordle (www.wordle.com) or Tagxedo (www.tagxedo.com ) to create word clouds. For example, drawing attention to difficult or tricky vocabulary in a text; creating synonyms and antonyms for vocabulary; making predictions using an anticipation guide for Charlotte’s Web (E. B. 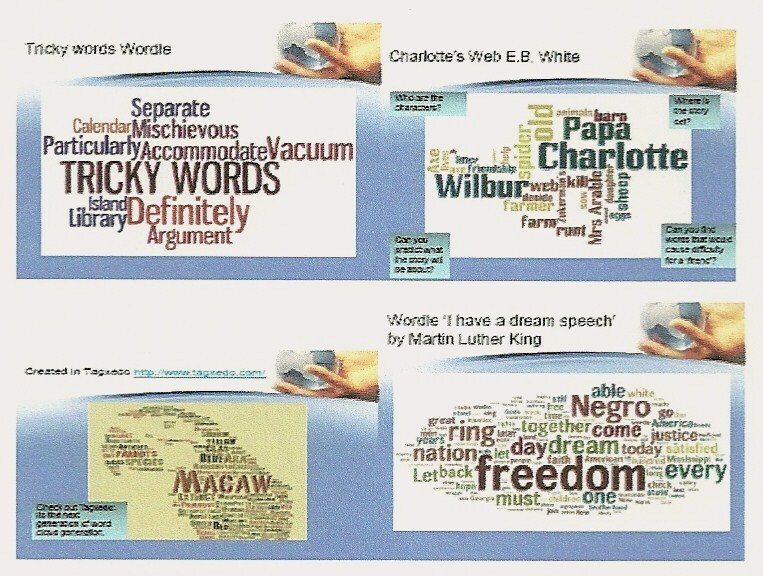 White) or summarising text as in I have a dream speech by Martin Luther King. 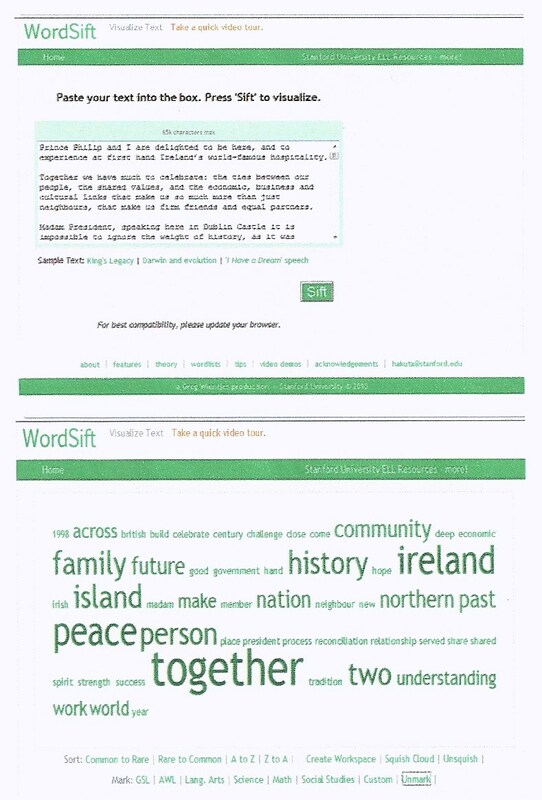 Word sift (www.wordsift.com) as a teaching tool to sift vocabulary in a text. Word Sift captures an inputted text and displays (a) the most frequent words in text in a variety of formats, e.g. 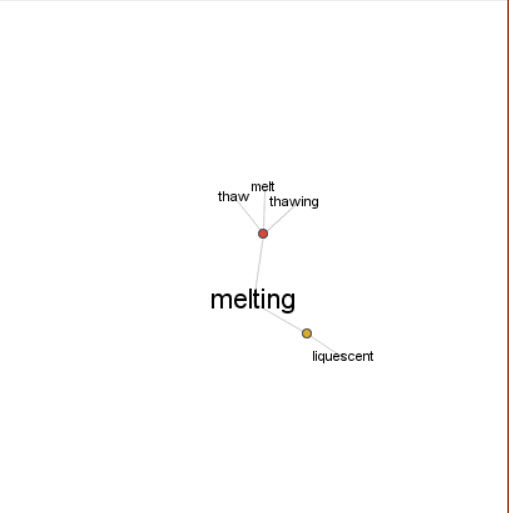 in alphabetical order or from frequent to rare; (b) presents Google images and a visual thesaurus of highlighted words; and (c) provides examples of selected vocabulary within the context of the sentences from the original text. Pretty powerful stuff! Electronic reading formats of texts The students have explored the affordances presented by electronic reading formats for deepening response to literature. 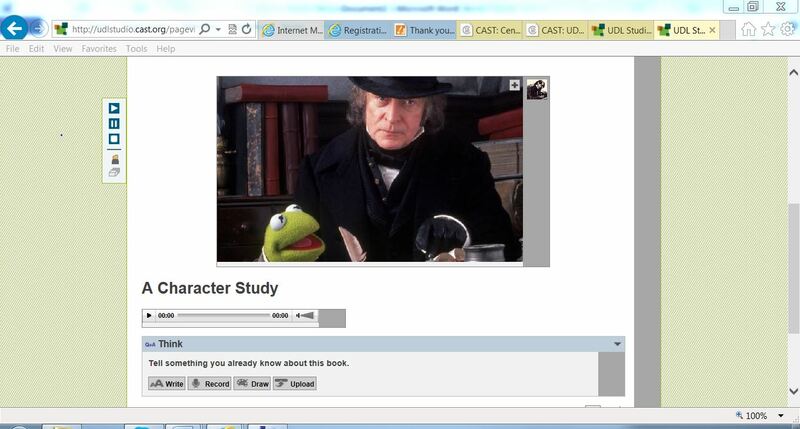 For example, they have adapted the work of Larson (2009) to create an electronic reading workshop. 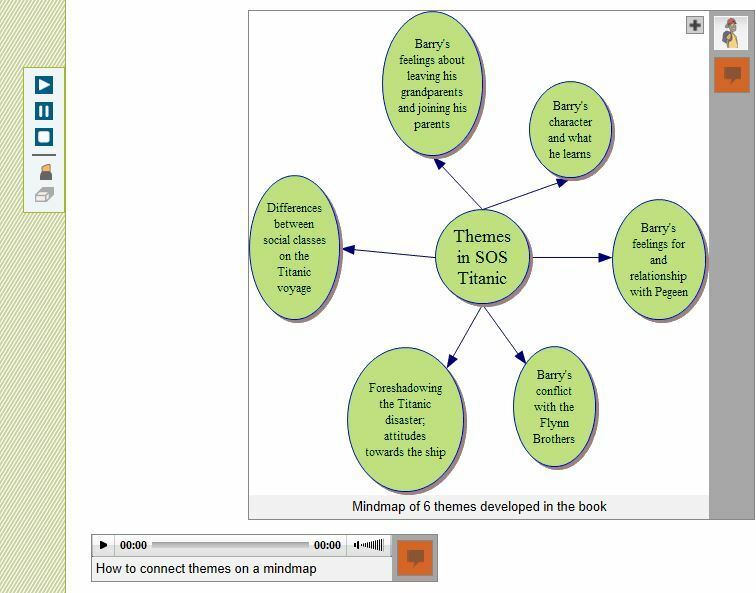 Elementary school children were asked to create ebookmarks or generate ejournals to capture fleeting thoughts, construct predictions, make connections or clarify difficult vocabulary as they read. 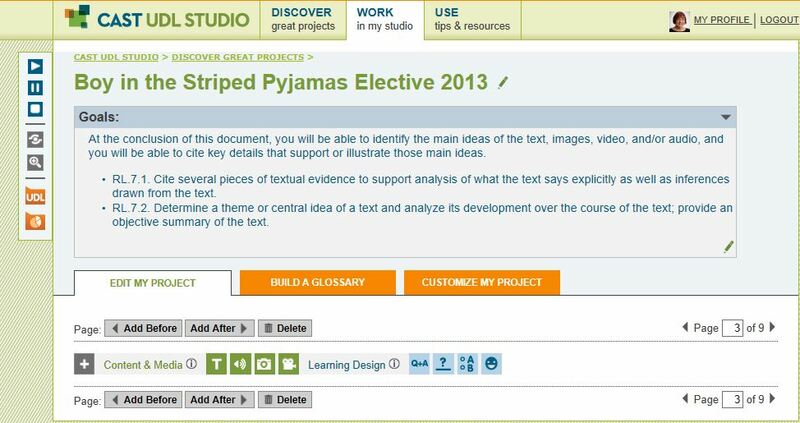 Students have also created threaded discussions using wordpress (www.wordpress.com) to create class blogs in response to electronic ebooks. Here children can respond to teacher created prompts. In one student’s classroom the children developed their own prompts and responded to each other in an asynchronous discussion format. 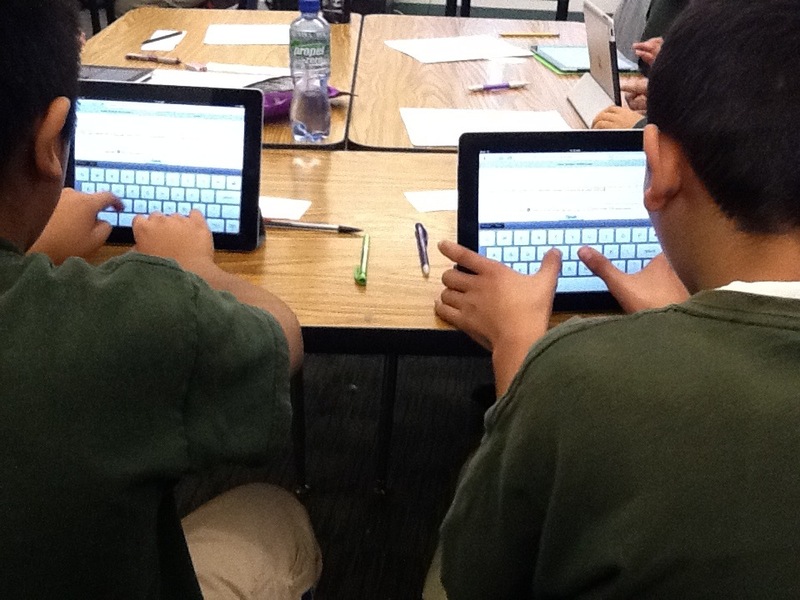 The class blog helped to develop a community of readers within the classroom. Analysis of the blog discussions suggested that children scaffolded, contested, affirmed or extended each other’s responses. See Lisa Zawilinski’s (2009) article in The Reading Teacher for an extended discussion of blogging in the classroom. 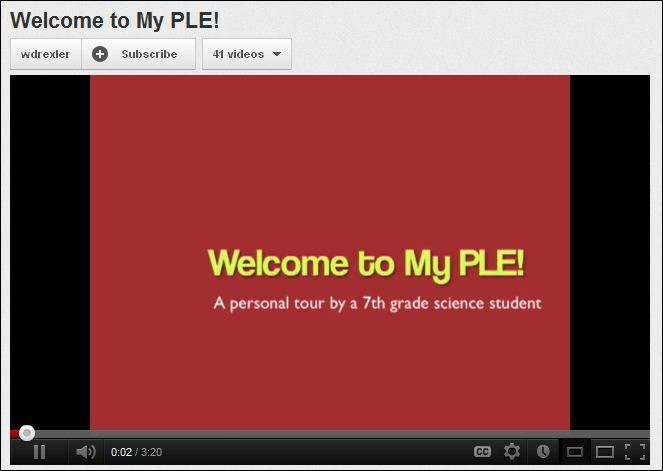 Finally, my students have used Glogster (http://edu.glogster.com) to create interactive multimedia format posters. These glogs helped children to elaborate their response to ebook formats. For example, in one study the children created video dramas of weather forecasts predicting a storm as the characters in The Wildflower Girl (Mc Kenna, 1994) crossed the Atlantic; or developed meanwhile episodes where the children became involved in authorship to extend the original story crafted by the author. Tús maith,leath na hoibre (a good start is half the work)! We have made small steps this past academic year. Next year we will extend and grow the affordances presented by digital tools for literacy in the classroom. My fellow bloggers at Literacy Beat have provided me with many inspiring ideas………..
Dalton, B., & Grisham, D. (2011). eVoc Strategies: 10 Ways to Use Technology to Build Vocabulary. The Reading Teacher, 64(5), 306-317. Larson, L. C. (2009). Reader response meets new literacies: empowering readers in online communities. The Reading Teacher, 62(8) 638-648. Zawilinski, L (2009).HOT blogging: A framework for blogging to promote higher order thinking. The Reading Teacher, 62(8), 650-661.